A wedding in Jerusalem is a meaningful event bound with great symbolism. The Mamilla Hotel offers you a chance to make a wedding in Jerusalem entwining classic style and unique atmosphere with unforgettable memories. Mamilla Hotel holds weddings in elegant restaurants and halls, with gourmet menus from the best of Israeli chefs. Magical Jerusalem views envelop each guest. Uncompromising service and sophisticated sound and video systems combine to make the most of your special day. Steps away from the Old City and the Montefiore Windmill in Mishkenot Sha' ananim, Mamilla Hotel lends itself to photographs in Jerusalem's most famous sites. 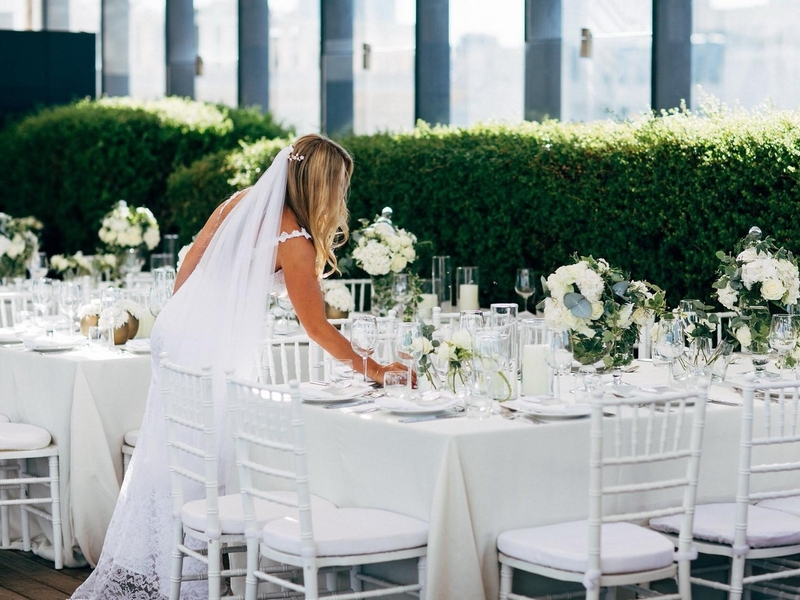 What better place for Reception or wedding ceremony than the Mamilla Hotel Rooftop. A lovely garden and breathtaking views of the Old City beckon each guest. After the ceremony and celebration, guests may continue the celebration at the elegant Mirror Bar where talented DJ's assist guests in dancing the night away until 2 am. The Shabbat Chatan, when the groom is called to the Torah on the Shabbat morning after his wedding, can also be hosted in the Mamilla Hotel. Enjoy deliciously sophisticated Shabbat meals in an atmosphere of elegance, with the auditorium for use for ceremonies or as a synagogue. Explore the hidden pathways of the Old City steps away from the hotel. Everything you need for an extraordinary Shabbat Chatan is right here at Mamilla Hotel. Overlooking the magnificent Old City walls, the Sun Deck is the perfect place for an occasion. The Sun Deck can hold up to 150 people for cocktails and up to 80 for a meal.